A joint site assessment was conducted in Kismayo on 3-5 June 2018 to identify the extent of flooding in IDP settlements. The assessment was led by CCCM partners, and included JRIA participants from the Ministry of Interior. Out of the 135 IDP sites, 47 IDP sites (35%) were flooded, directly affecting 548 households. CCCM is supporting IDPs to use the locally available drainage system in place to allow the flow of stagnant water. 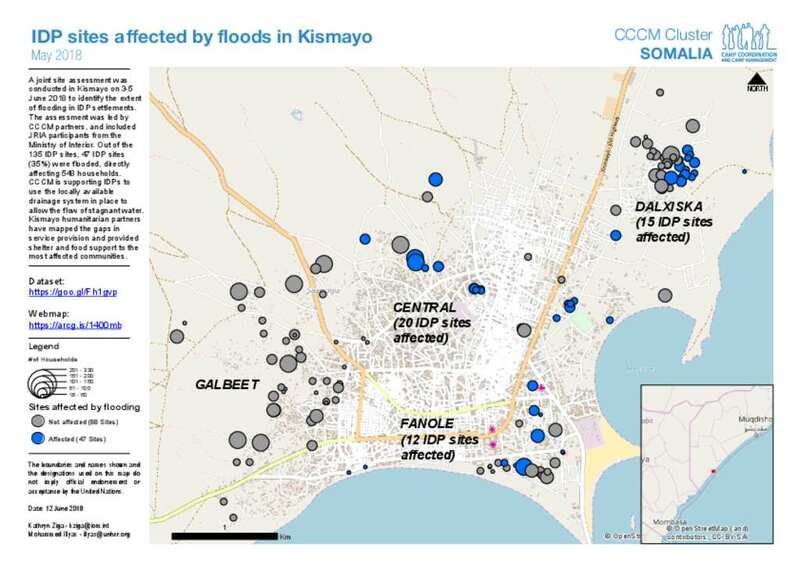 Kismayo humanitarian partners have mapped the gaps in service provision and provided shelter and food support to the most affected communities.